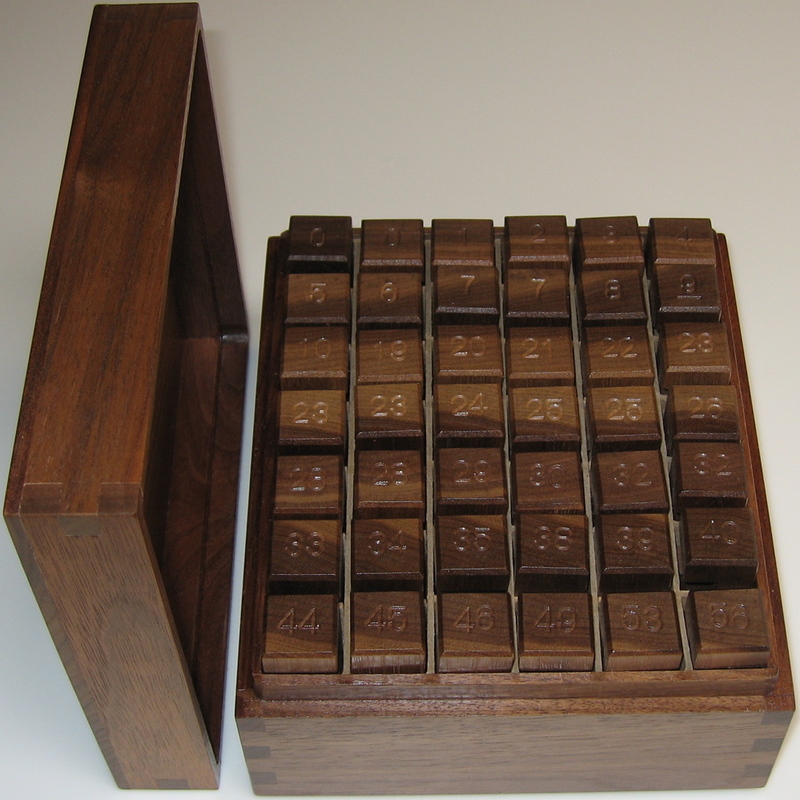 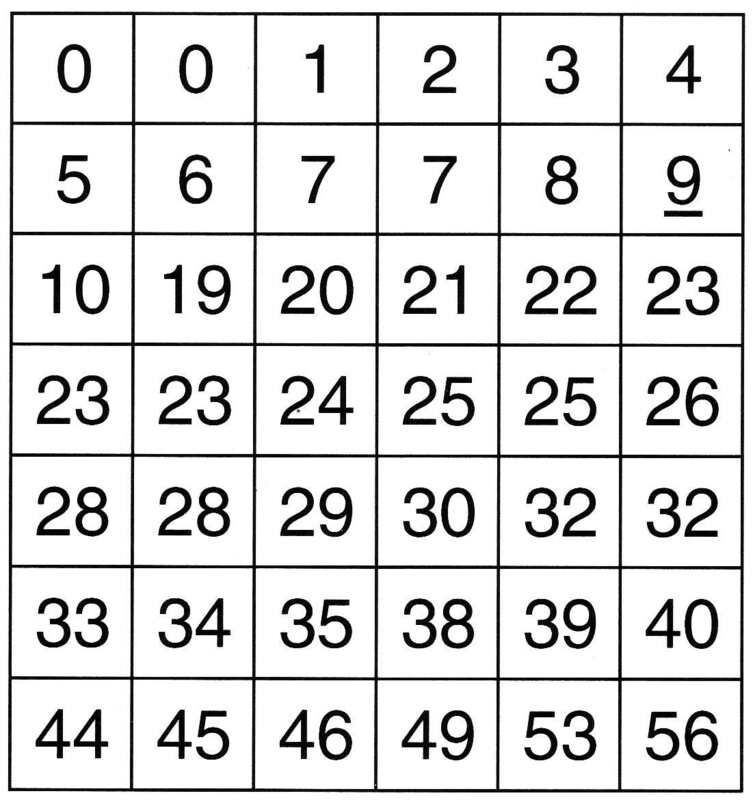 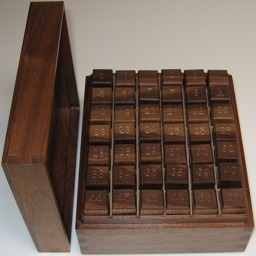 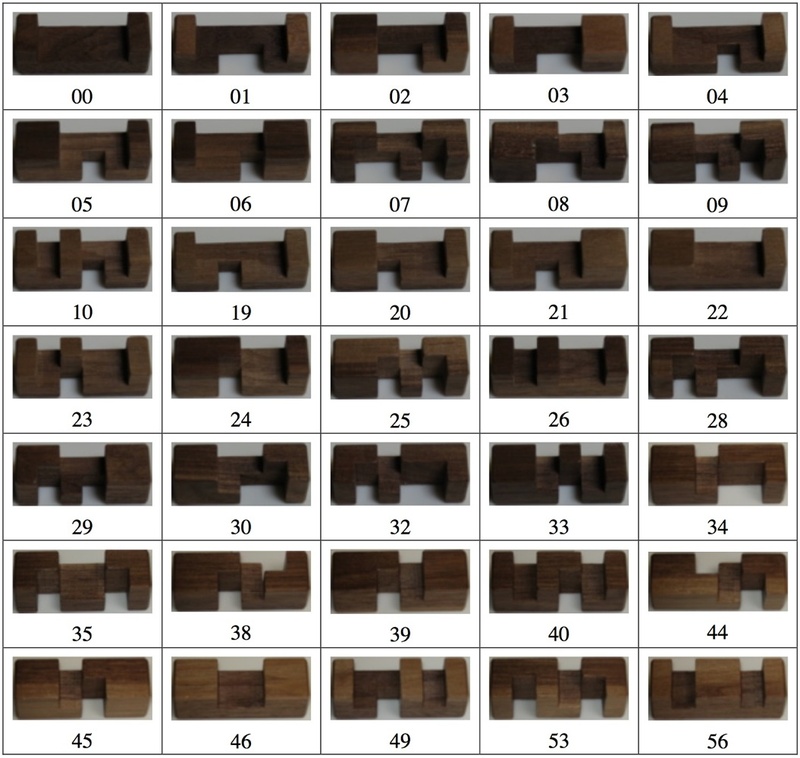 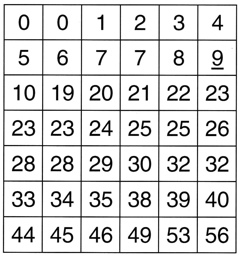 35 distinct notchable 2 x 2 x 6 unit pieces, indexed with numbers in the range 0 to 56 (as shown above), a total of 42 pieces including duplicates, which can be used to assemble most of the level 5 standard 6-piece burrs. 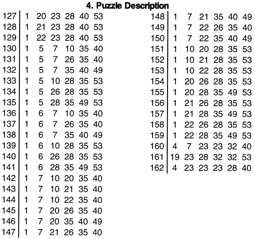 Uses David Winkler's numbering. 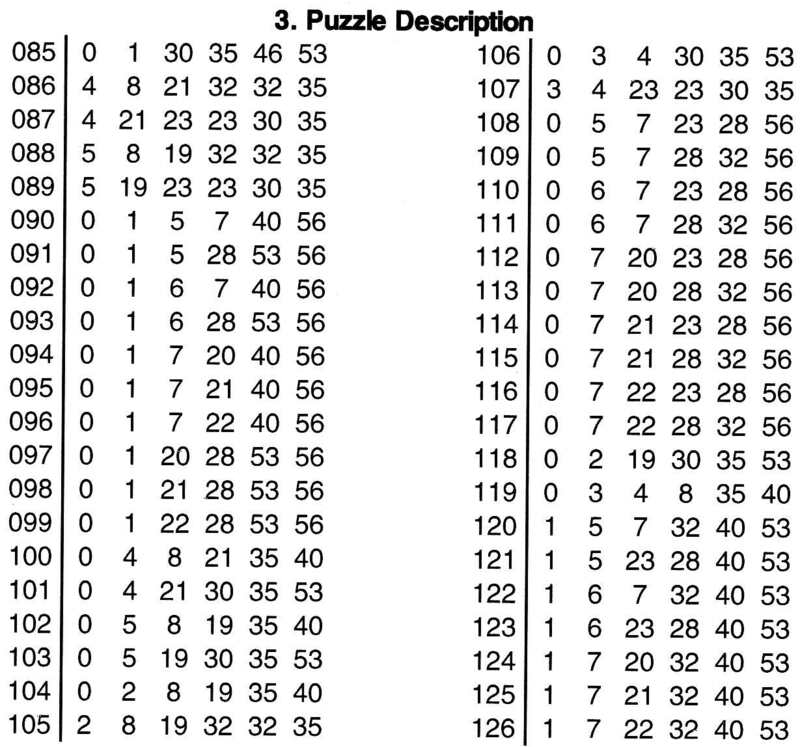 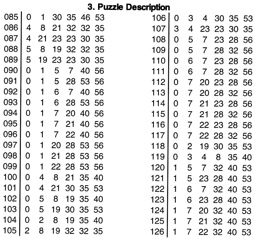 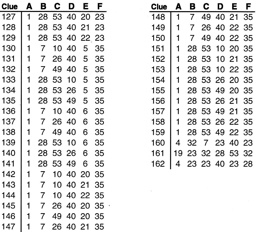 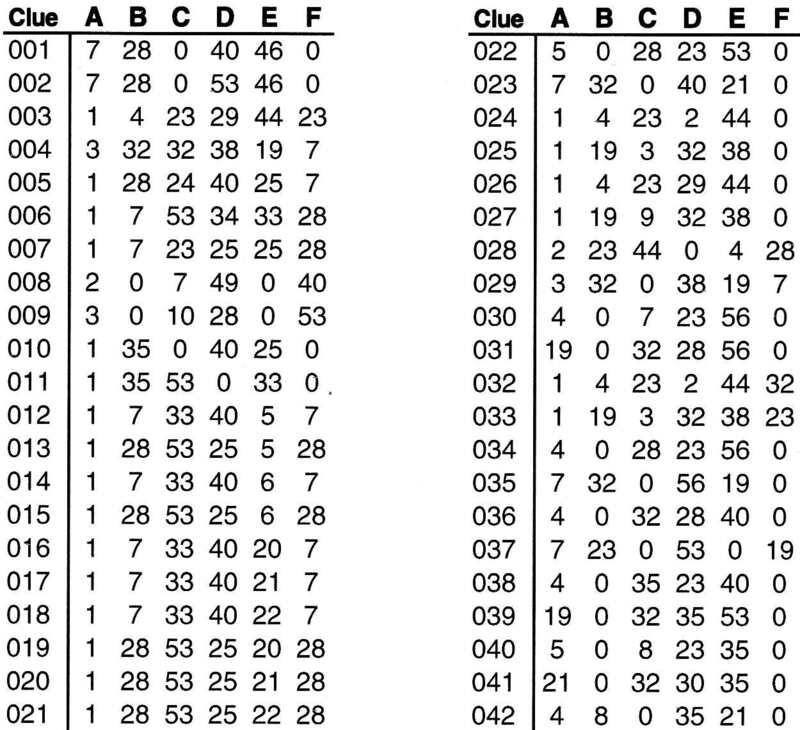 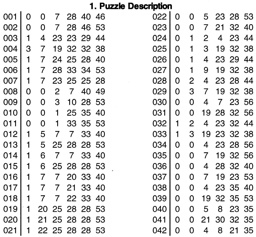 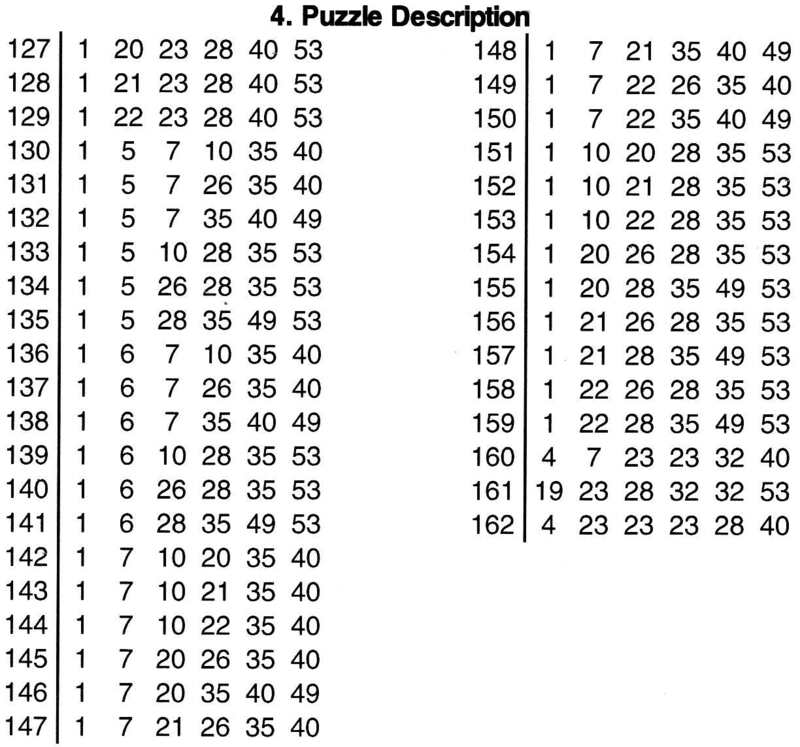 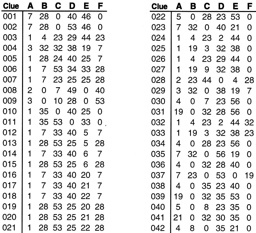 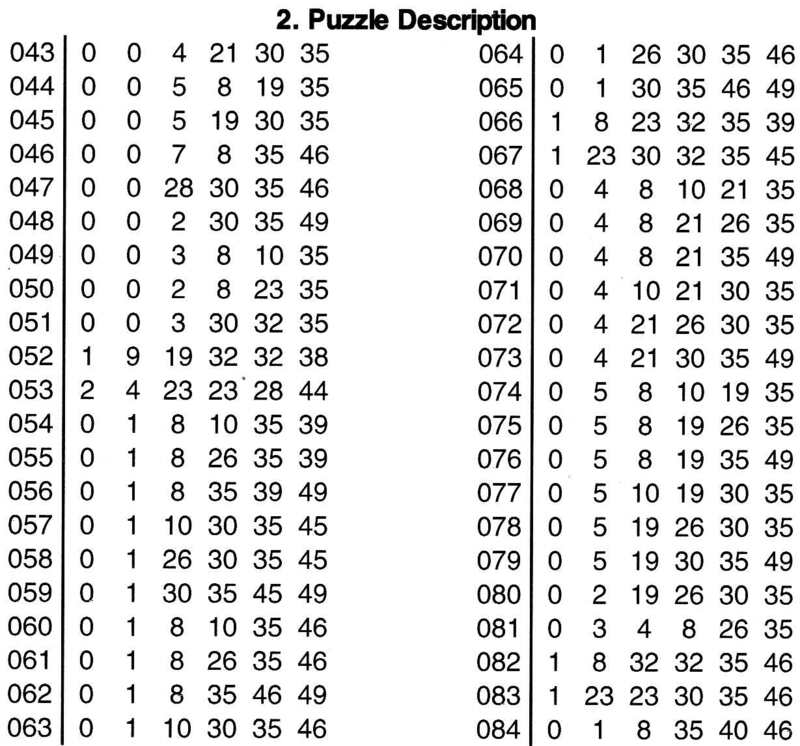 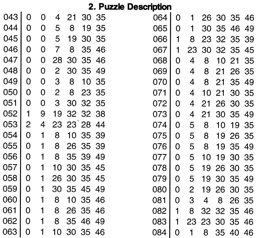 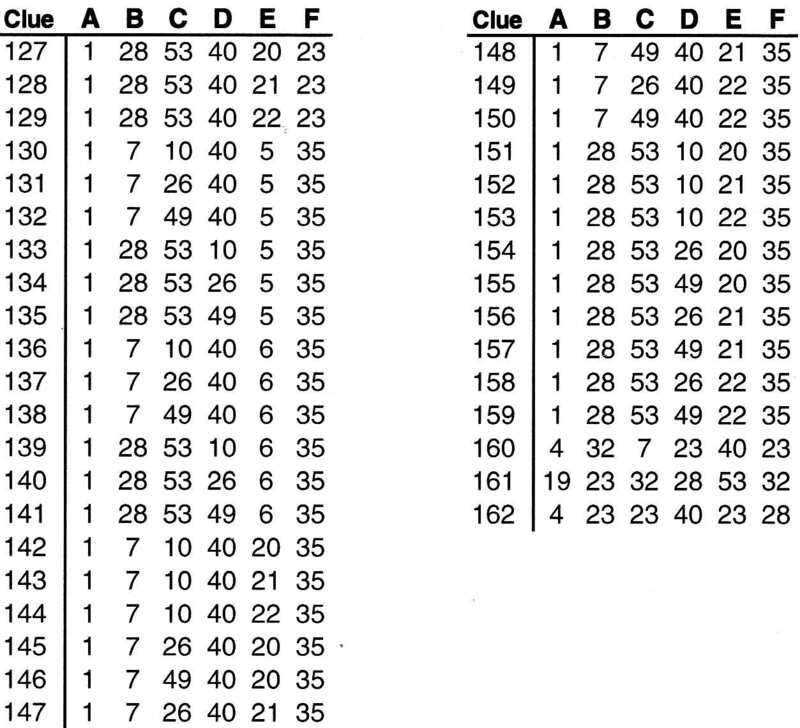 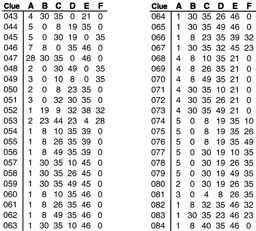 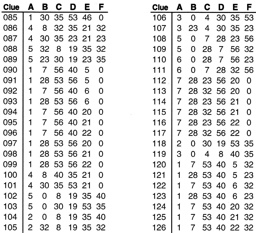 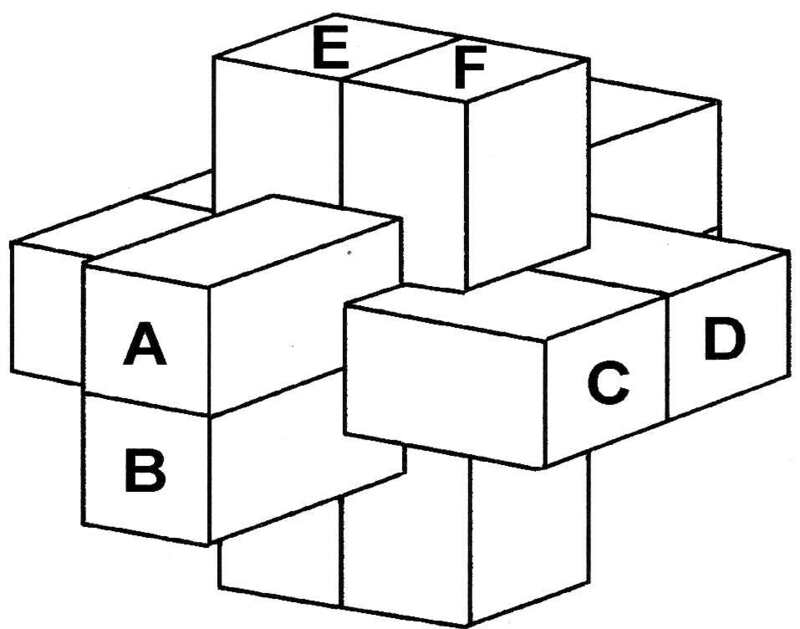 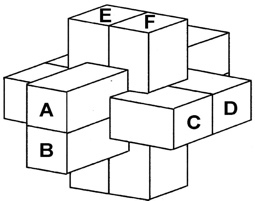 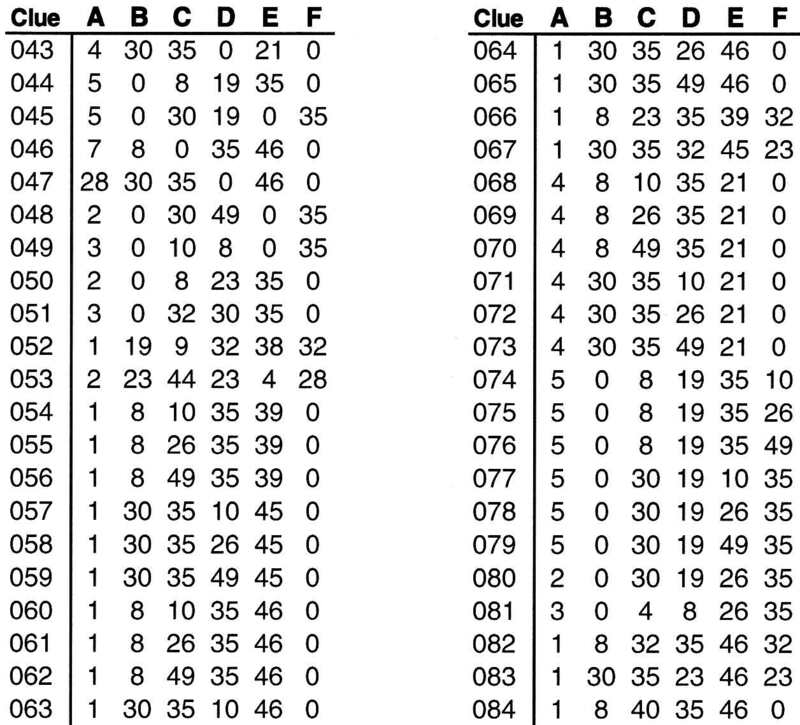 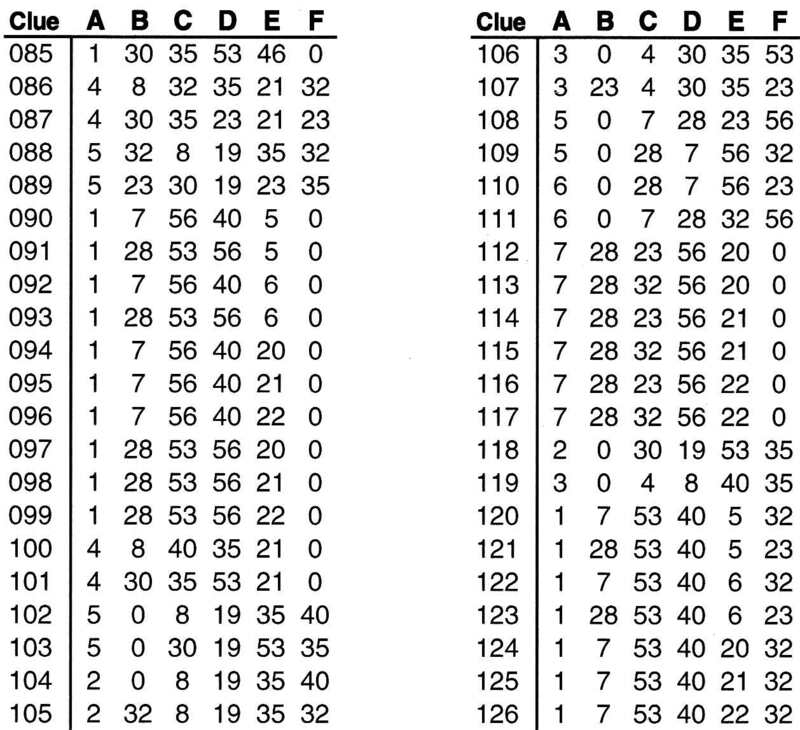 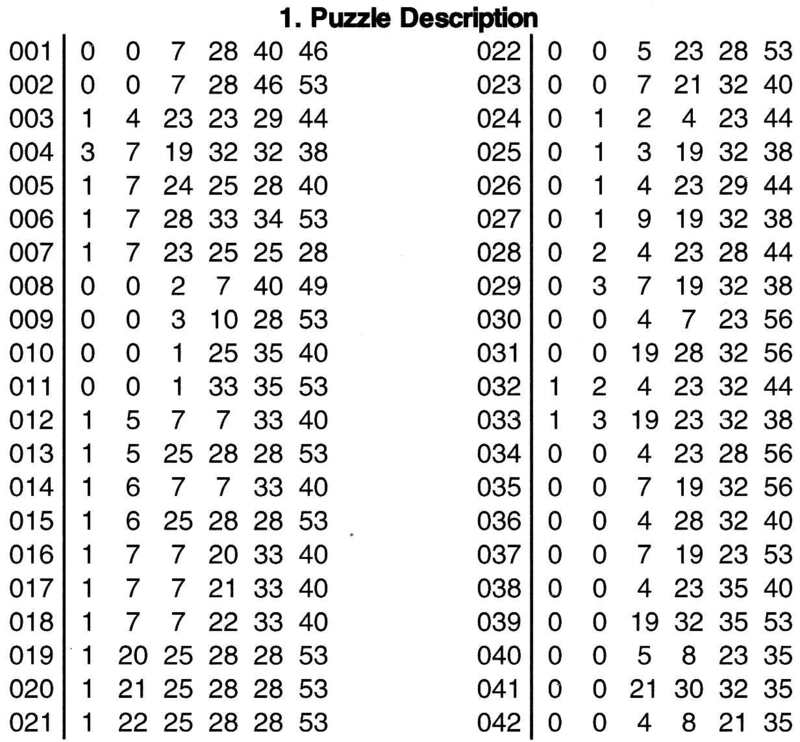 Four puzzle and clue cards that list the pieces in order from A to F according to the diagram above.